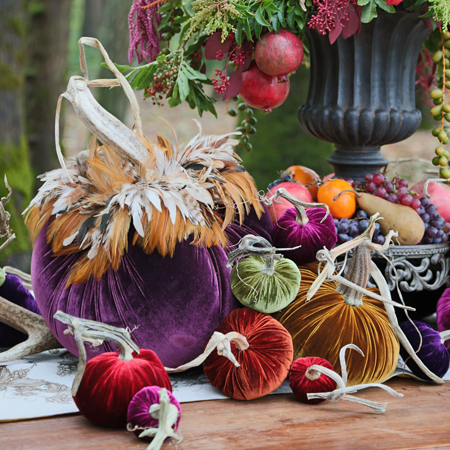 Each heirloom quality, handcrafted silk or cashmere pumpkin is embellished with natural feathers. Plumes for pumpkins 6” and under, full collars for pumpkins 8” and above. Each pumpkin is topped with a real, natural, organic stem, signed by the artist in gold.